Two fabulous dessert recipes featuring blackberries. The ricotta cheesecake recipe is here. I followed it fairly closely, though I baked it in a pie pan with a graham cracker crust. 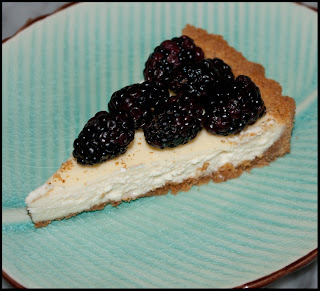 Ricotta cheesecake does not have the smooth texture of a New York style cheesecake, but it is lighter and not all that sweet. I really like it, but I know some people are put off by the texture of the ricotta. 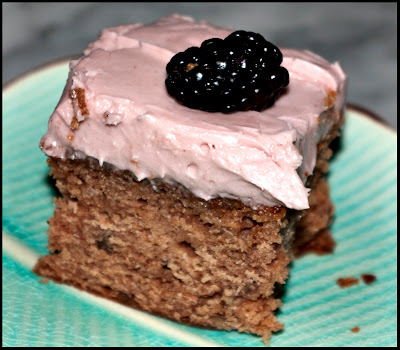 The blackberry jam cake was amazing! You can find the recipe here. I left out the raisins, and added extra cinnamon and nutmeg--something I tend to do since we are cinnamon lovers. I also baked the cake in an 11 x 13 pan instead of two round cake pans. I used the cream cheese frosting recipe suggested, but added some blackberry jam to give it a lovely lavender color. 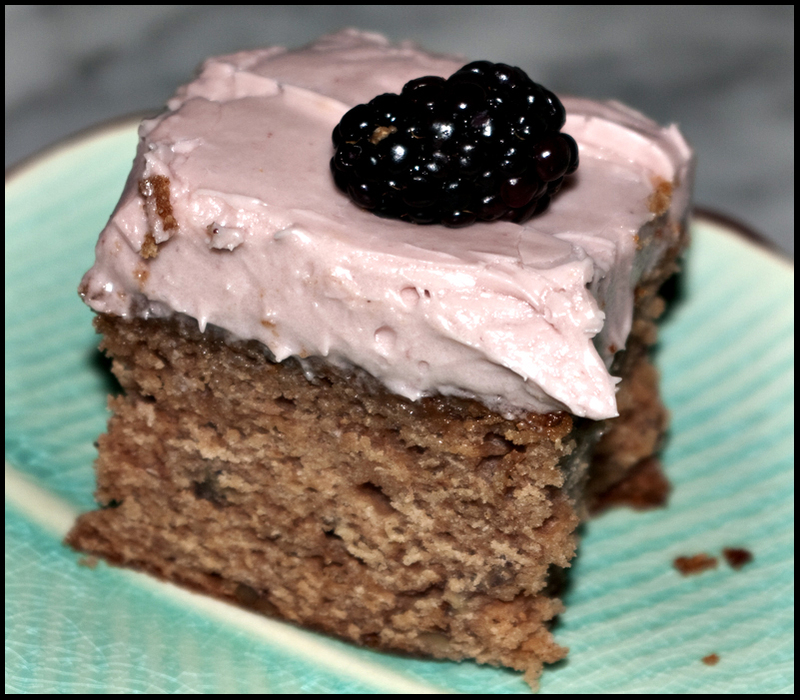 I topped the cake with fresh blackberries. Though this cake is fairly easy to make, it's so pretty and really delicious. It would be perfect for a birthday or other special occasion. Yum! I was seriously thinking about making a cheesecake last weekend but didn't do it. Glad to see that you are baking, even in the heat. We had a break for a couple of days but it's supposed to be hot again this weekend.